Whew! Ok, so I haven't been on TAY or Kotaku for a week. I haven't played a game other than my daily email Civ turns for a week. No games and no downtime make Datacide something, something. Xander's birthday is today (Saturday). I'm trying to take as many of the PS+ Vita games I've squirreled away and put them on Xander's new PS Vita so it will be ready to go and loaded for bear. 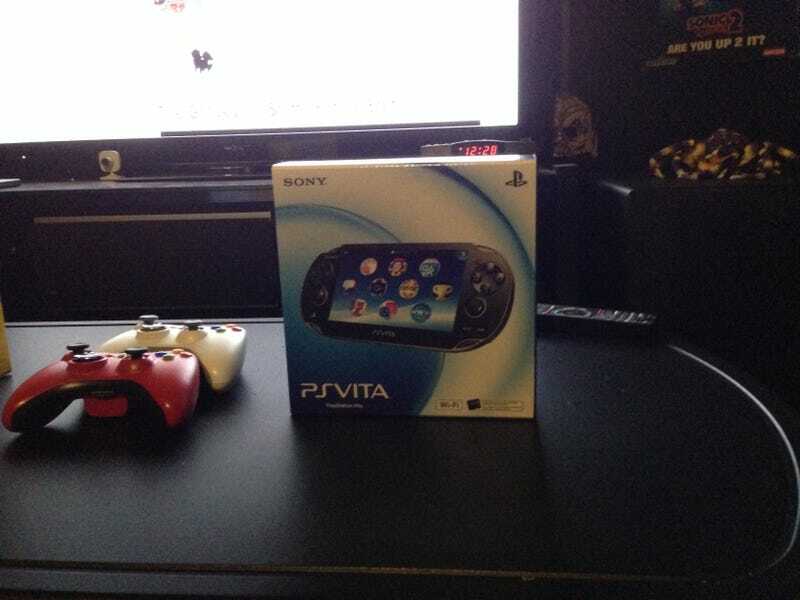 I've never played much with a Vita until just now and what a slick machine it is. I'm looking forward to playing around with it now that we have one in the house. The amount of "free" games we have for it via PS+ is crazy. Now only if I can get the Vita done before I pass out from holiday exhaustion and hit the hay...I'll be ready for a night of birthday laser tag and video games at Retro Planet here in Barrie. Then come Sunday after my parentals have left and the whirlwind of the holidays has slowed, I might be able to get back to my own games and catch up with all the TAY posts I've been missing out on. I hope everyone is having a wonderful holiday and lots of happy gaming is being done. I hope people are getting in more gaming than I am, and if so, what are you playing?